Every time a parcel arrives at our home the children get excited. Is it for us they chime. Well quite often it isn’t but one parcel that was for them held something truly monstrous. Hidden within the deep darkness of the bag was a crate, and locked within, a creature with glowing eyes that made monster noises. Was it friendly or just grumpy from it’s travels? The children were about to find out soon enough. In dived an arm and fished out the crate which shook from the motion made by its prisoner. A tongue hung out of the crate bars, a quick pull of it resulted in more ghastly noises. The outside of the box was labelled with a name “Blizz”. 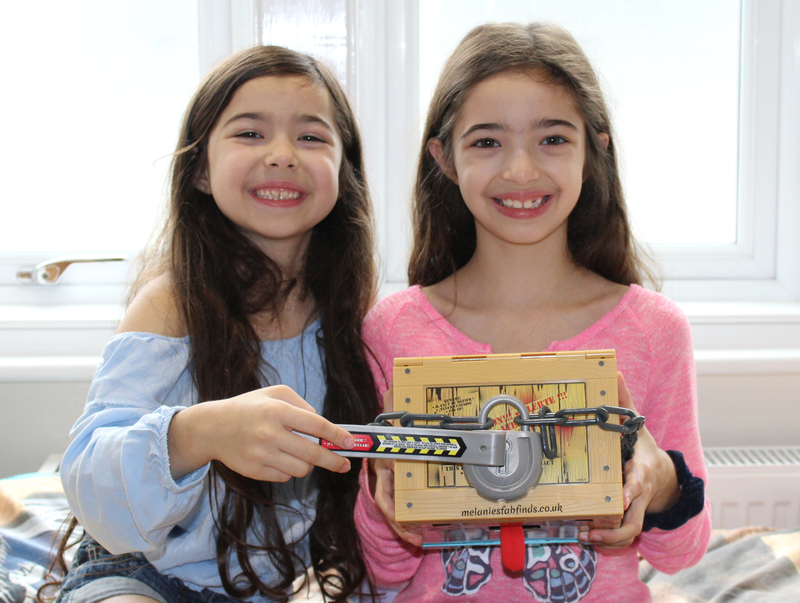 The crate was sealed firmly shut with a giant chain and humongous padlock. Then a sound was heard slurp, slurp slurp, a fart, some other strange noises and then snoring. All was silent for what seemed like hours. When the inhabitant awoke it was much calmer. A snack and a nap had done him a world of good. Feeling brave the children opened up the crate using the crow bar and out popped the monster who was really a big softie in more than one sense of the word. He wasn’t just friendly but he also had a super soft fur from head to toe. For hours and hours the children and Blizz played but, when it was time for him to go back into the box he was nowhere to be seen. “Oh dear,” the children cried in despair, “we’ve lost our new monster friend”. But then they had an idea……. What is a Crate Creature? 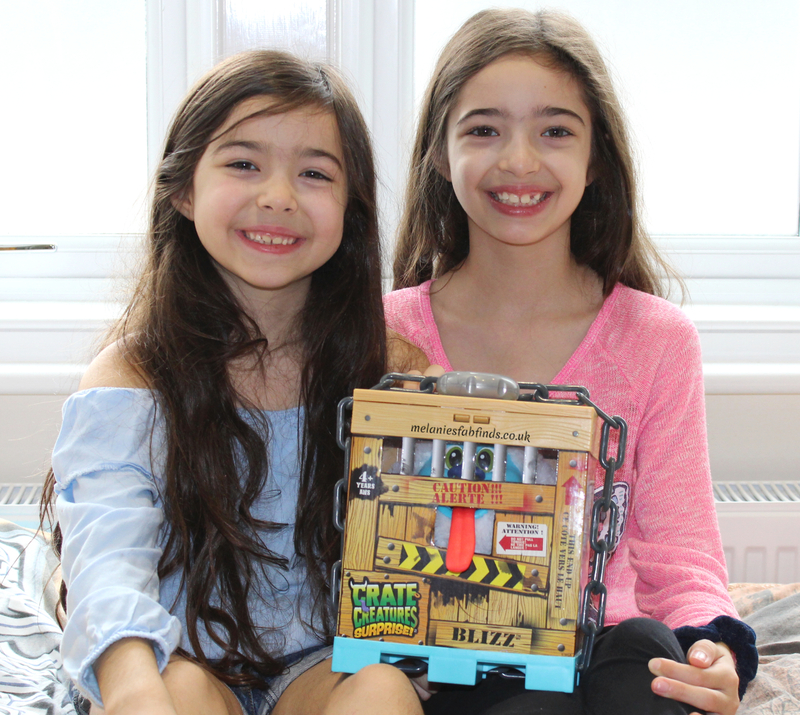 Blizz is one of 4 crate monsters recently released by MGA Entertainment that you can collect, each is different with their own scary features. Each Crate Creature comes with a favourite tasty snack. They all make a unique selection of over 45 noises some of them whilst eating their snack The crate creatures have sensitive noses, tongues or horns, and will shake in annoyance if you touch just the right nerve. 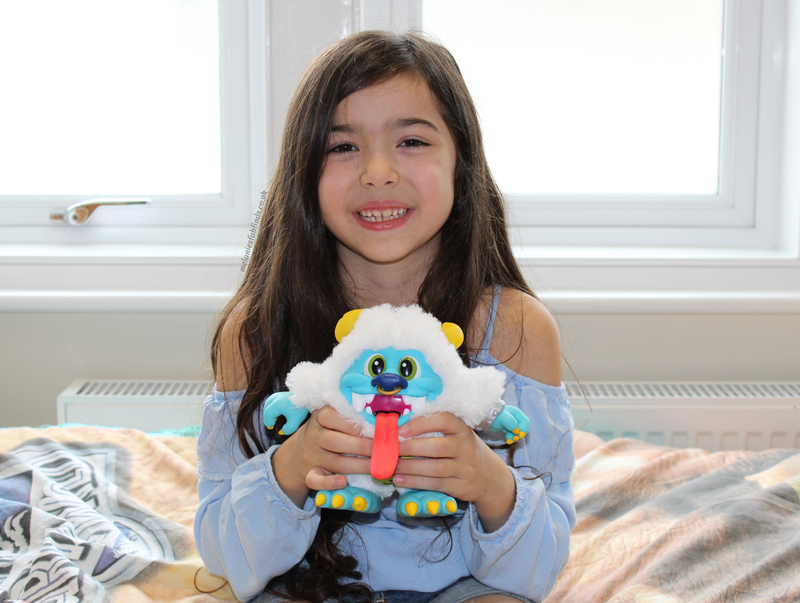 They will also record your voice and repeat it back – monster style! 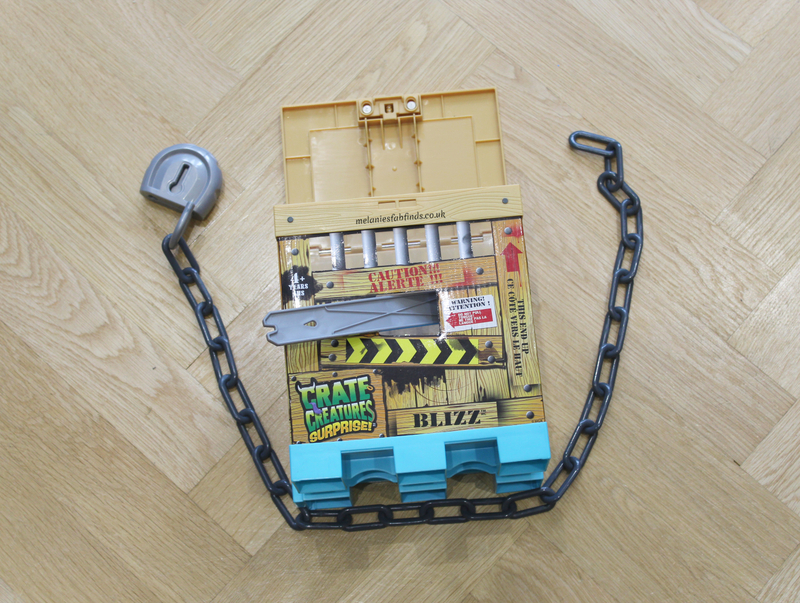 The creatures all have a different snack, a lock and chain and reusable crate. Disclaimer: The children were sent this for an honest review. All thoughts are our own. Really well done and it’s actually pretty cute considering it’s a monster! I have never heard of Crate Creatures but they seem really fun! I like how unique they are with the ways you can interact with them. This is great! When I first started reading I thought you had bought a lizard or something! ha! Ha, no although I do like lizards I don’t think I would be able to look after one. That crate creature looks really nice and cute. and I bet these two little pretty girls love that so much. He sure is. They love playing with him when their brother lets them lol. It sure does. I love how well thought out this is. This looks really fun. I think this would make a lovely gift with Christmas coming up. It seemed like your girls really enjoyed playing with him. They sure did, these are great toys! They love this. They can spend ages playing with Blizz! I love toys like this, I’ve never been one for the cutesy creatures! I bet they would. We really do love this toy it’s great fun! It’s a super toy and I am sure will be on many Christmas lists. Ohhhhhh it’s so cute! I love that it does so much. I loved the video of your girls showing us this toy. My kids would love this and it is super adorable! I am going to add it to their toy wishlist. My little sister enjoys opening mystery boxes. Now I know what to buy for her birthday! Aaaw… my daughter would definitely love this as she enjoys reading a story about “monster in my bed”. But these monsters seems too cute and not scary at all! I’ve never heard of Crate Creatures. My girls really loved Hatchimals last Christmas, so they may really like these. This looks cute! I wonder when one of my students will come to school with one of those. I have never heard of this toy! Blizz is a really cute monster. This looks like a great gift for some of my nieces! I’ll have to check Amazon. Thanks for the great review! Glad you liked it. The toy is great for little ones. The kids love playing with him and then locking him up. My daughter would have loved this when she was younger. They sound like such a lot of fun. And I can only imagine getting it for a gift for her for Halloween. Sounds amazing. Great review Melanie, when I first saw them I thought they reminded me of Boglins (I’m showing my age). I’m considering getting one for my son! I don’t think I had one of those. They are super cute toys for kiddies.